“Oh no Grandpa not again” wailed Ashita as a gleaming Francesco checkmated his nine-year-old grand-daughter. Joanne bringing in a tray of freshly baked cupcakes and steaming cups of tea for her dad and daughter sat next to Francesco. A chill ran right down the middle of Virinchi’s spine making him shudder involuntarily. Even though the interior of the stone walled house was stuffy and hot, an eerie sense of cold wrapped itself around him. It was not supposed to be ending this way. When he had obtained the final tranche of funding from the bank, posting a non-existent ghost real estate as a collateral, the grandiose scheme for the regal heist was complete. All that remained was for the stash to make its way to Zurich and for Virinchi to head to Antigua. The modest yet attractive house came along with a price and a citizenship. Expend $400,000 and purchase an outrageous amnesty for obnoxious sins! Extradition treaties were a sacrilege and deportation a distant nightmare. But then there was a public furore the likes of which were never seen before. Diplomacy did a volte face and secrecy died without even a whimper. Papers were drawn up and the knives of justice sharpened. Now they were coming for him. Thank You Jade Wong for the photograph! “Uneasy is the head that wears the crown”, proclaimed the immortal Bard of Avon in his gripping play, King Henry the Fourth. What William Shalespeare left unsaid however, was that such unease is exacerbated manifold especially when one happens to ascend to the position of a Central Banker. Hurl into the already formidable conundrum a financial recession that has the potential not only to slam the brakes on world prosperity but also pull the very rugs of stability from underneath the globally interconnected economic edifice, the Crown of the Central Banker is but a coronation heralding an ensuing crucifixion! 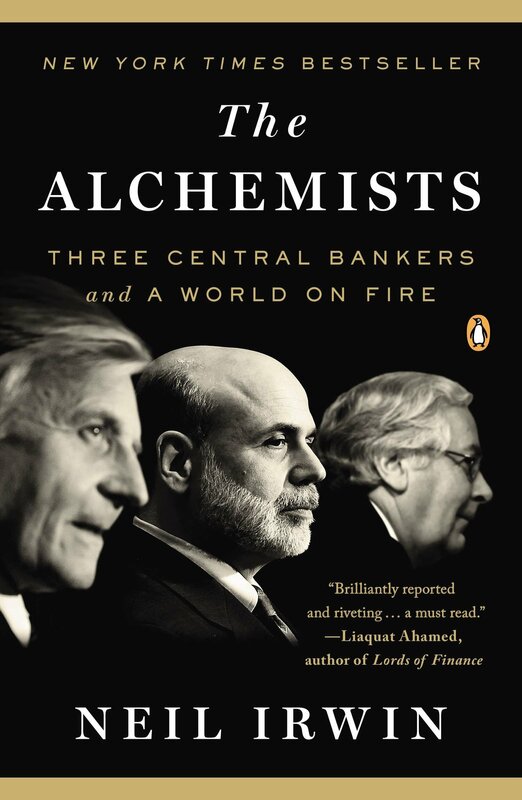 Neil Irwin, in his spectacular work “The Alchemists” (the book) chronicles with delightful clarity the tumult and turmoil faced by three redoubtable Central Bankers when the whole world around them went rogue in a tailspin of sheer insanity. Ben Bernanke, former Chairman of the Federal Reserve in the United States, Jean Claude-Trichet, the then President of the European Central Bank (“ECB”) and the then Governor of the Bank of England Mervyn King were three reluctant firefighters who were involuntarily entrusted with the onerous responsibility of rescuing a world gone mad. Before explaining the measures implemented by the three protagonists, Irwin dishes out an alluring hors d’oeuvres in the form of an introduction to the advent of Central Banking. From the exploits of Johan Palmstruch in Sweden to the prescience of Walter Bagehot in England, Irwin traces the evolution, endurance and etiology of the now commonly accepted and taken-for-granted lender of last resort. Coming to the core aspect of his subject, Irwin then provide a fascinating ringside view of the greatest recession since the Great Depression of 1929, that brought the world to its knees before being tackled employing means both novel and random. Irwin highlights in a staid albeit powerfully convincing manner, both the need for a strong Central banking system and its manning by a set of articulate and talented central bankers. To paraphrase Irwin, “Central bankers determine whether people can get jobs, whether their savings are secure, and, ultimately, whether their nation prospers or fails.” The individuals who were mercilessly pilloried and remorselessly vilified as forming part of the very problem which they were attempting to resolve during the panic of 2007 thus get more than just a reprieve and a pat on the back from Irwin. The three different personalities of Bernanke, King and Trichet working in tandem as well as in individual capacities attempted to weather the financial storm by bringing their astuteness and at times even arrogance to bear. As Irwin points out, they also stumbled quite a bit in the process. While the obstinate troika of the ECB, the International Monetary Fund (“IMF”) and the European Commission (“EC”) urged on by the Bundesbank imposed ludicrous conditions of austerity on an ailing Greece in consideration of a bail-out, the Eurozone was under the threat of a potential dismantling. To a great extent the financial crisis was brought about by the lax and lackadaisical supervision of the Fed as mortgage originators went on the rampage in the United States and the greedy Wall Street Bankers cranked up their machinery that produced mind numbingly complex financial products whose worth or uselessness lent themselves to prediction of any reasonable sort. Irwin also provides an insight into the extremely complex process by which the countries forming part of the Eurozone achieve unanimity in all decisions having an impact on the monetary and fiscal prospects of the Eurozone. Potential beneficiaries are rendered irrelevant as stringent demands and strident conditions are imposed upon them as considerations for a potential bail-out. The actions of Germany and France who while maintaining an uneasy relationship amongst them are also paradoxically ‘joined at the hip’ make for some rousing reading. “The Alchemists” while not attempting to deify the central bankers as they go about their unenviable work, strives to place them on a pedestal that is exalted, edifying and certainly enervating. Whether such a pedestal is indeed a deserving honour, is a choice that is left to the readers to decide. It was not often that Joanne took Ashita along, to her work place. In fact, according to nine-year-old Ashita, the frequency of her visiting her mother’s office was even rarer than the appearance of Haley’s comet! Today was one such occasion. The clinic administering the TDAP vaccine had no time slot other than from 9.30 – 10.00. Joanne had no choice but to bring her effervescent daughter along. “Shhhhh!!! Silence! This is an office”, Joanne’s tone had a steely determination to it. Chastised by her Mum, Ashita kept silent and took her place on a chair right across Joanne. Unable to stifle her curiosity she slowly got up and approached the mission statement the bottom half of which was slightly obscured by the four Musketeers. “Are veterans those who have come back from Vietnam?” Ashita whispered. “Alas, only nine year olds seem to be asking these questions my dear. Now allow Mummy to work”. Drawing a deep breath, Joanne got about her work. Warne also is refreshingly open about his obsession towards cigarettes and a predilection to alcohol. “Ten Vodka/Red Bulls and 50 darts” represent a night well spent. 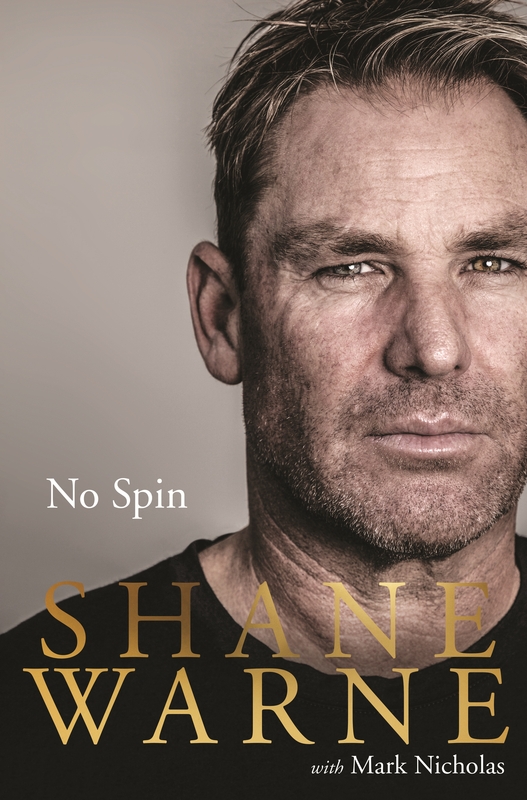 A few facts about Warne that has not made the rounds in the public domain in general, and outside Australia in particular, get deserving mention in the book. For example, many of Warne’s fan and followers would be pleasantly surprised to note that this legendary leg-spinner is the first man to have got a hole in one with the pin in the back right position at the Augusta Masters. Also the fact that Warne was a talented Australian Rules Football player having clocked in regular games for his beloved club St Kilda is a fact that has been obfuscated to a great extent by his overwhelming exploits with a cricket ball in hand. The book also has its share of wicked wit. A photograph that has Warne turning over his arm under the eagle eyed tutelage of Terry Jenner bears the caption, “with Terry Jenner, the teacher. John Buchanan is in the background, where he should have been more often.” Typical, indomitable Shane Warne! “Is my Kiiro hungry?” a smiling Mizuno peered into the fish tank as he replenished the feed. However, his little resplendent fish was in no mood to satiate her hunger. Frantically treading water, Kiiro swam from one end of the tank to the other with barely a pause. So alarming was her frenzy that Mizuno feared she would crush herself to smithereens by hurtling herself against the glass. Turning away from the fish tank, Mizuno made his way to the door attributing Kiiro’s peculiar behaviour to one of those inexplicable traits of aquatic existence. “Does God reside only within such huge and extravagant structures?” Ashita wondered aloud gaping at the resplendent architecture. “No my dear child. God needs neither structures nor scriptures. It is the sculptor in whom he exists. Each one of us is a sculptor. He dwells in every good thought, manifests in every good deed and blesses every good word” whispered Joanne gently ruffling her eight-year old’s hair. Looking up at Joanne and gazing intently into her eyes, Ashita proclaimed in an unwavering and convincing voice, “in that case I have the best God ever”, and hugged Joanne tightly.